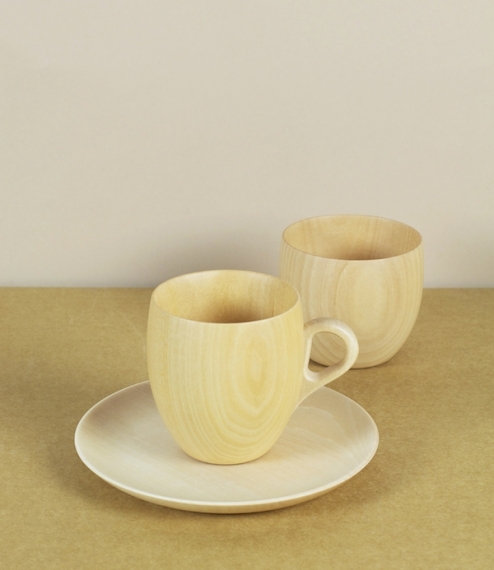 Egg shaped vessels for hot or cold drinks born of a collaboration between Takahashi Kougei and ONO Rina and inspired by the gentle cupping of hands around a warming drink - a near universal signifier of homecoming and comfort amidst the harsh chill of winter. 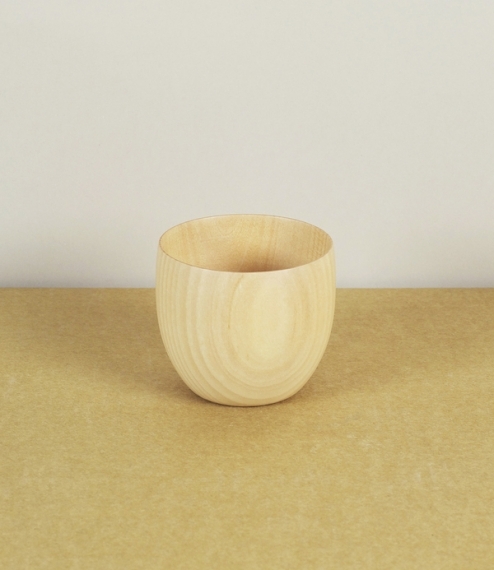 Hand turned of subtly patterned lime (linden) wood drawn from standing trees selected from amongst the forests surrounding Asahikawa, and seasoned for several years on the workshops own grounds ensuring utmost stability both for working and a lifetime of use. 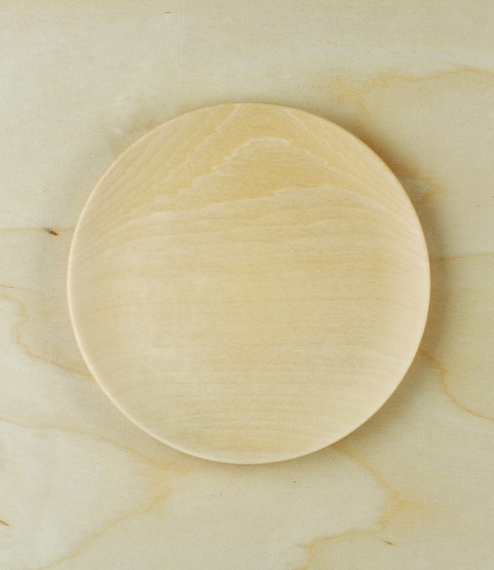 Whilst some sympathetic handling is advised - dishwashers and long soaks avoided, and towel rather than air drying advised - these are impregnated and sealed with a specially developed urethane ceramic mix and are suitable for use with both hot and cold liquids, as well as ordinary sink washing up. 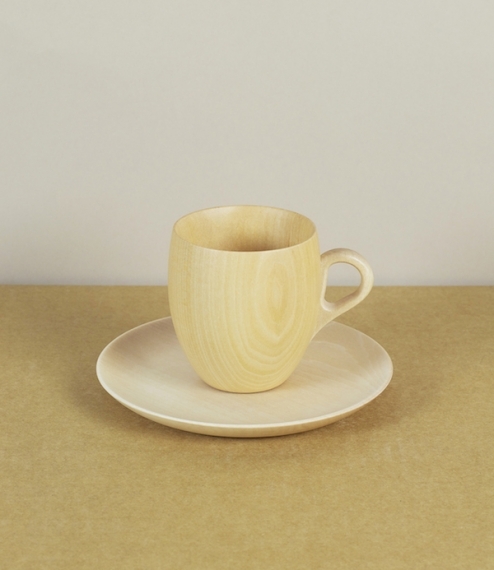 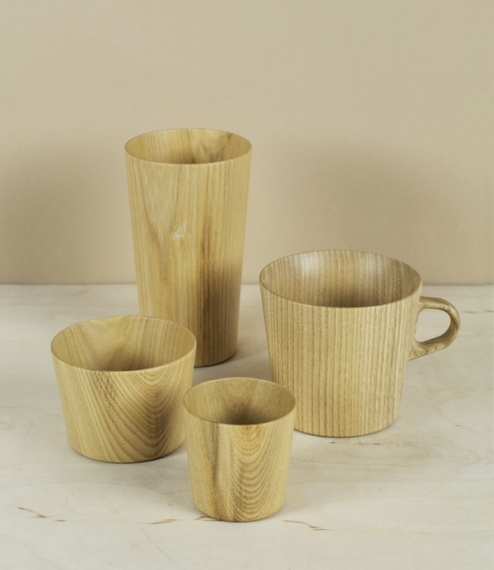 Three options are available, a handled mug (70mm x 100mm x 80mm high), a simple handleless cup or 'glass' (80mm x 80mm high), and a flat plate which can also be used as a saucer (100mm x 15mm high).